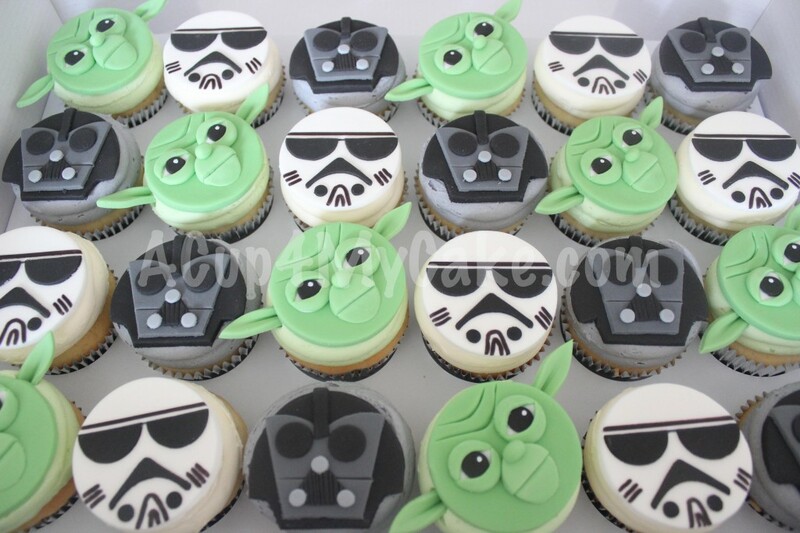 The lovely Zara, who turned 7 this week, was so excited to share with her classmates these cute style Star Wars cupcakes. 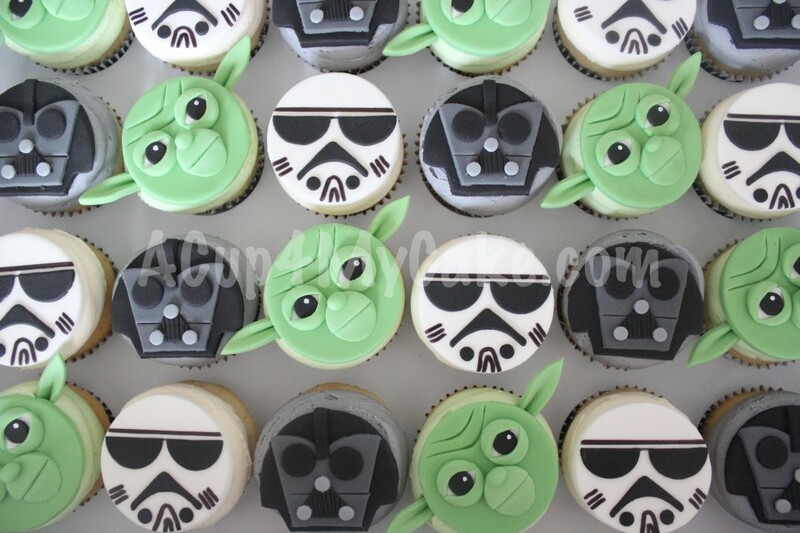 She chose three characters from the film -Yoda, Darth Vader & Storm Troopers-, since she was looking forward to seeing their faces in a cupcake. And here they are! 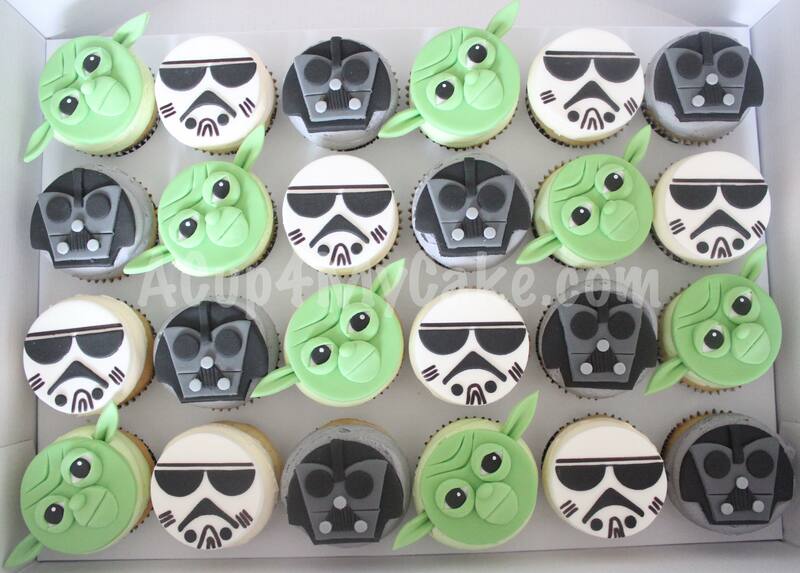 This entry was posted in Buttercream, Cupcakes, Fondant, Star Wars, Sugarpaste.